Live on the SABC television, this enthralling event took place at the Seshego Stadium in Limpopo on the 23rd May 2010. 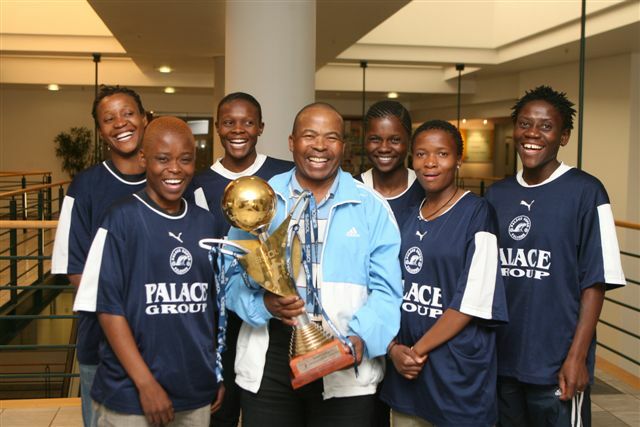 It was attended by football personalities such as Doctor Khumalo and the President of SAFA, Kirsten Nematandani. The victorious Falcons started their winning streak in the group stages by beating Ma-Indies 5-2 in their opening match and continued by winning 6-2 against Bloemfontein Celtics Ladies and a whopping 8-0 against Hallelujah Zebra Forces. This placed Falcons at the top of their group. Their next challenge pitted them against Durban Ladies which they beat 3 goals to one. 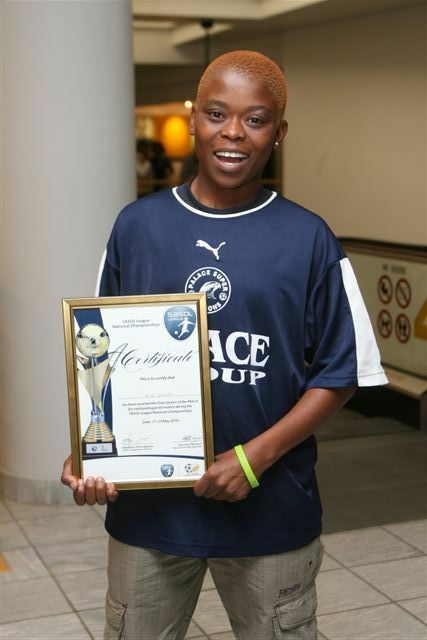 After this performance Falcons was not short of accolades from the tournament as both Mokoma Kgadi and Gugu Gabuza each bagged the Diski Queen (an equivalent of Man of the Match) award twice. 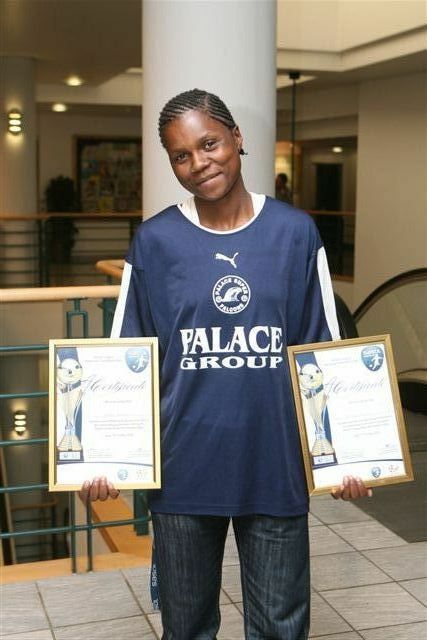 Goalkeeper Tina Selepe and Marvis Mkhize also walked away with the Diski Queen award. 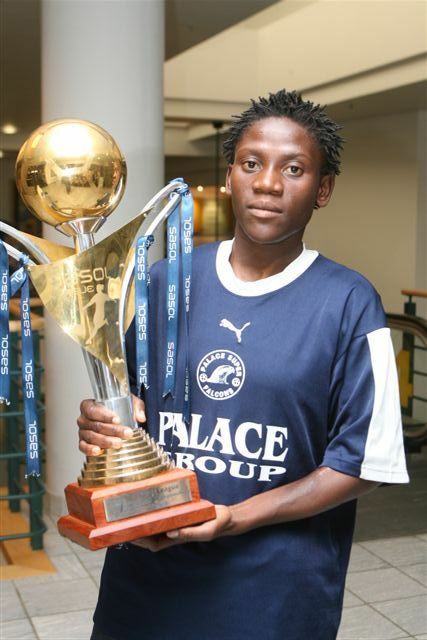 Another goalkeeper, Bridgette Molale, received the prestigious award of the Goalkeeper of the Tournament whilst the Head Coach, Jabu Mabaso, received the Coach of the Tournament Award for the excellent players and results produced by Palace Super Falcons. This sterling performance by the team secured yet again national squad places for some of our players ahead of the African Women Cup of Nations which will be hosted in the country sometime in October this year. Players who received a call-up are Gugu Gabuza, Mokoma Kgadi, Mervis Mkhize and Tina Selepe. We congratulate the team for making us proud and for the high level of skill they have showed during this tournament. 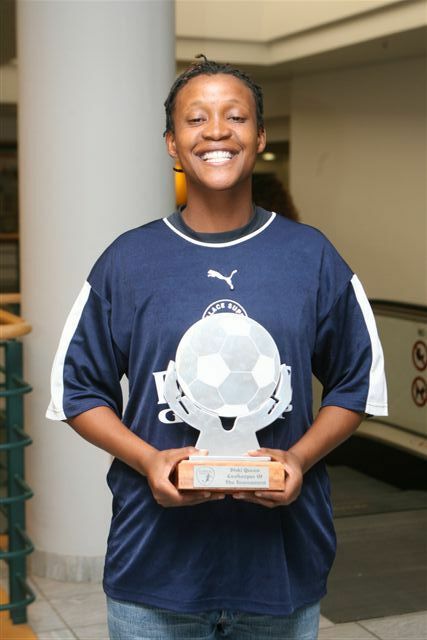 We also wish good luck to those players that will be representing us at the Banyana Banyana National Squad.